Hope my friends and family have a great day today. I received my team order from Sizzix recently and I knew the minute I started playing with the new Bell Jar and Pedestal from Tim Holtz that a snow globe was just the thing to make. 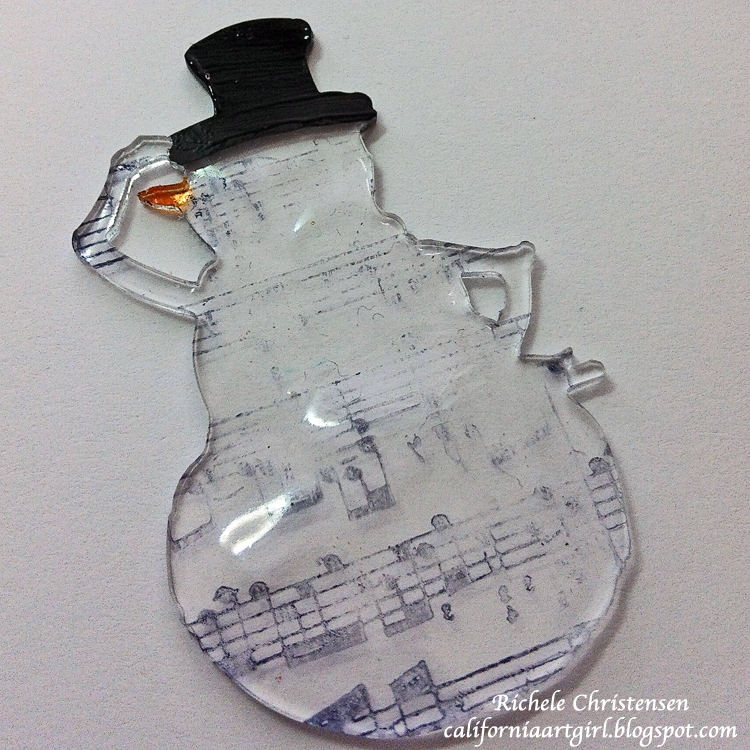 I love the snowman inside he is made from Shrink Plastic. Isn't he so cute this size! Let's get started. Emboss a piece of white card stock with the Snow Flurries Texture Fade using the Oval Diffuser. 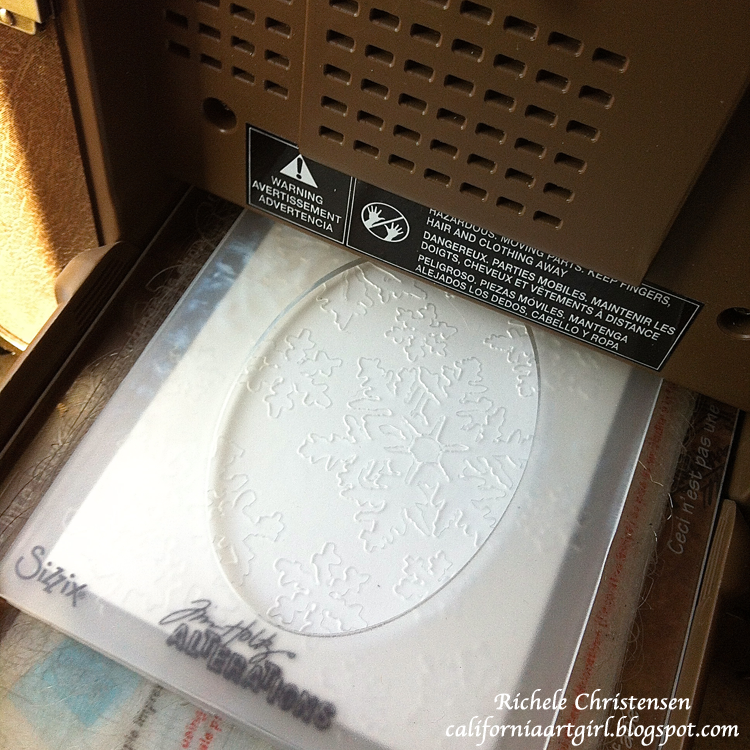 The diffuser will allow you to only emboss the outer edge of the card stock. Ink the edges with Broken China Distress Ink on an Ink Blending Tool. I used the snowflakes as a deboss so the snow flakes would remain white. Die Cut the Winter Wonder snowflake from white card stock. Ink the edges with Broken China Distress ink. 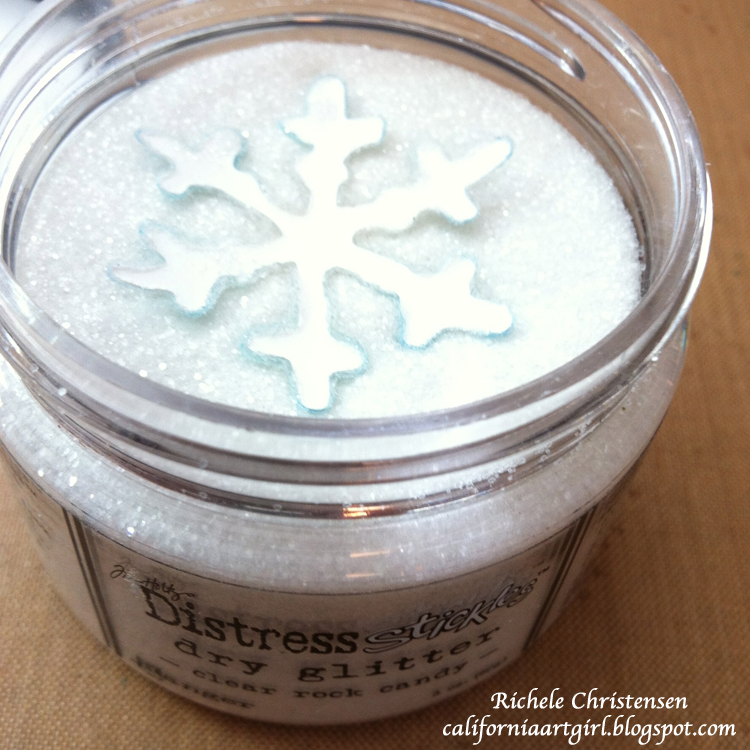 Coat the Snowflake with Glue N' Seal and Distress Stickles Dry Glitter. 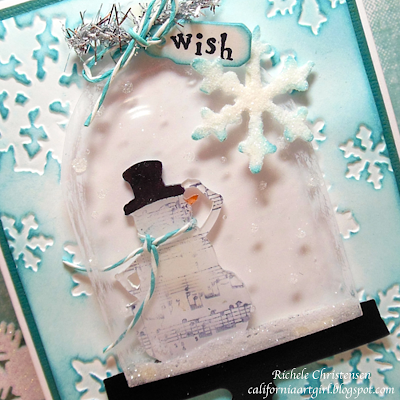 Use Shrink plastic and die cut the Snowman from the Winter Wonder Bigz die from Sizzix. This is one of my favorites dies for the holidays. 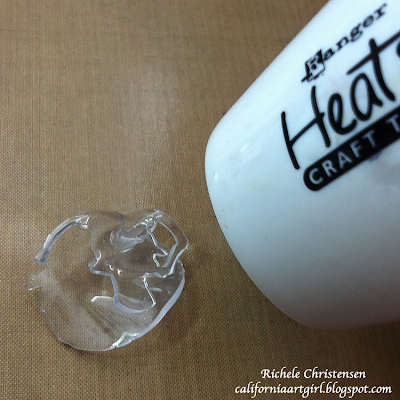 Heat with a Heat tool to shrink. 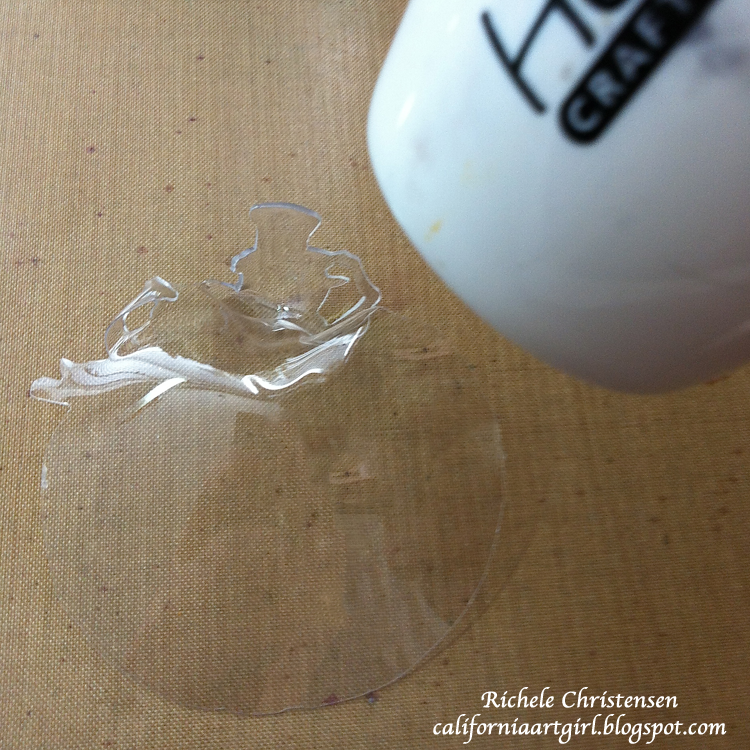 As the shrink plastic shrinks it will curl, not to worry as it heats it will flatten back out. 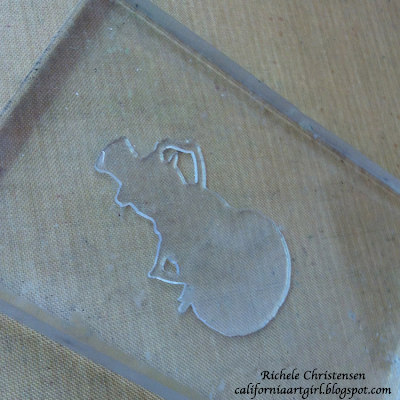 Once it flattens back out I like to place an acrylic block to help it flatten. Working on the bak side of the snowman. Stamp the music notes with Jet Black Archival Ink, color the nose with orange alcohol ink and paint the hat black using dabber paint. Let dry. 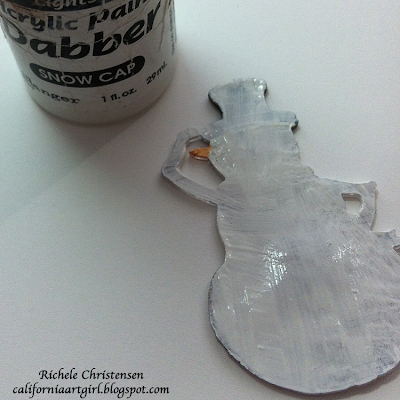 Now paint the entire back of the snowman with Snow Cap Dabber Paint. This will make him opaque. Now for the glob die cut the Bell Jar from an acrylic sheet or I used the packaging from my die and the pedestal from glossy black card stock. Paint the edges with Snow Cap paint dabber on the back side of the glob. Now working on the front side use Glossy Accents to add dots over the globe and at the bottom for snow. 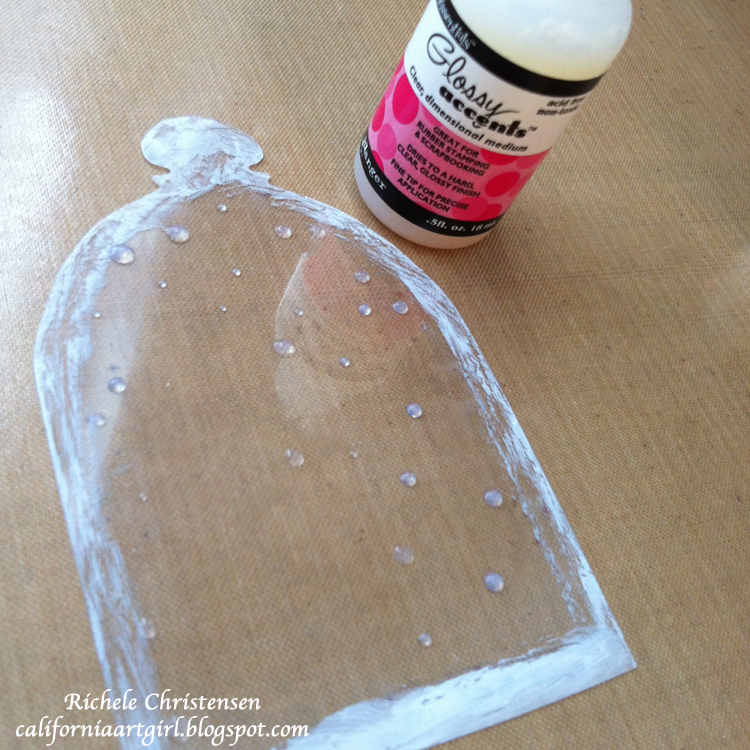 While the glue is still wet apply Distress Stickles Dry Glitter. The Distress Dry Glitter makes it look like it's snowing inside the glob. Set aside to dry. 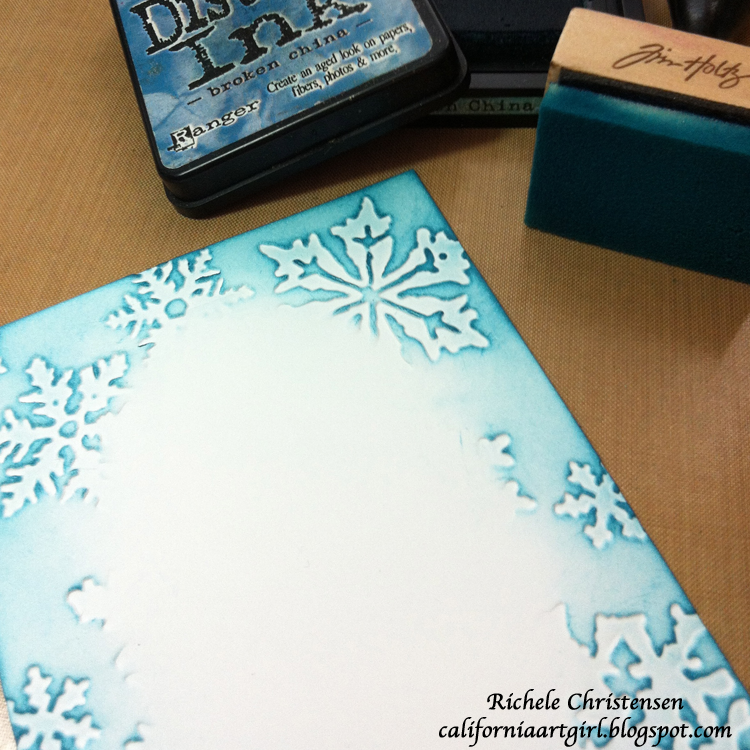 Adhere the snowflake embossed piece to a broken china matt and then to the white card base. 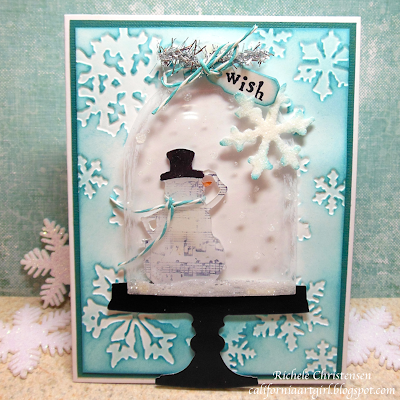 Pop dot the pedestal and the snowman to the card. Don't forget to give the Snowman a scarf of striped Paper Twine. For the glob top, tie a tiny tag with the word "Wish" stamped on it with Striped Paper Sting and a little piece of Silver Tinsel Twine. Pop Dot the globe, you need to conceal the pop dots. I put pop dots under the snow at the bottom and at the very top under the handle. Add the Snowflake with pop dot too. Today I have to share a Grandma story! I was up in my studio mostly cleaning today and getting ready to make a project for the blog and my 4 year old Grandson comes over. He ran in the house and is so excited because he has a project he needs to work on. He runs up stairs with much excitement in his voice. "Grandma, grandma I'm going to do a project" I ask "what is your project?"" I'm going to make a scarecrow!" 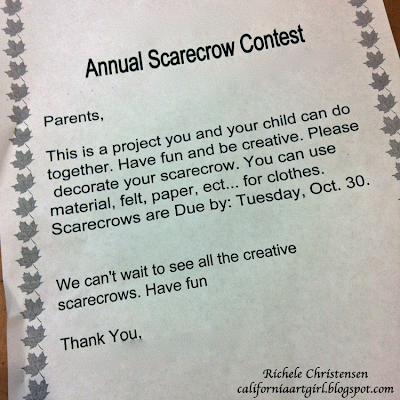 He brings me this letter to read and a white scarecrow! 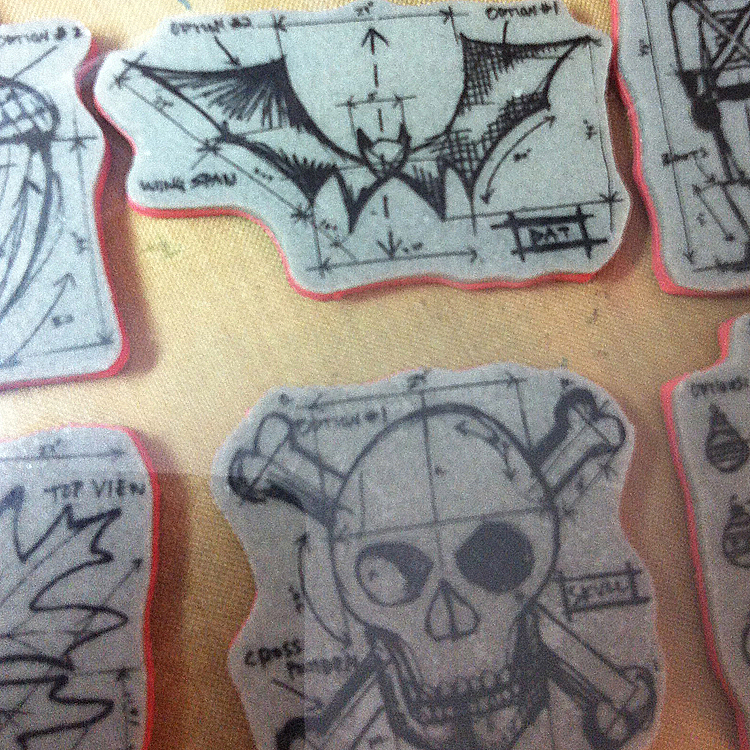 While I'm reading he finds a few things in my studio laying around, one of which is the pumpkin die cut. He asks,"grandma can I use this!" Of course! 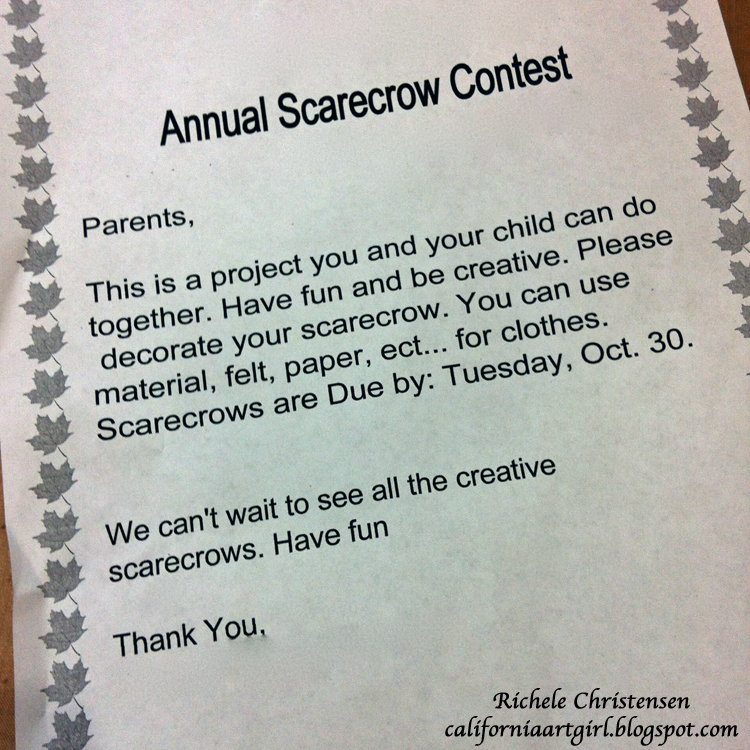 So off we go to create a scarecrow. 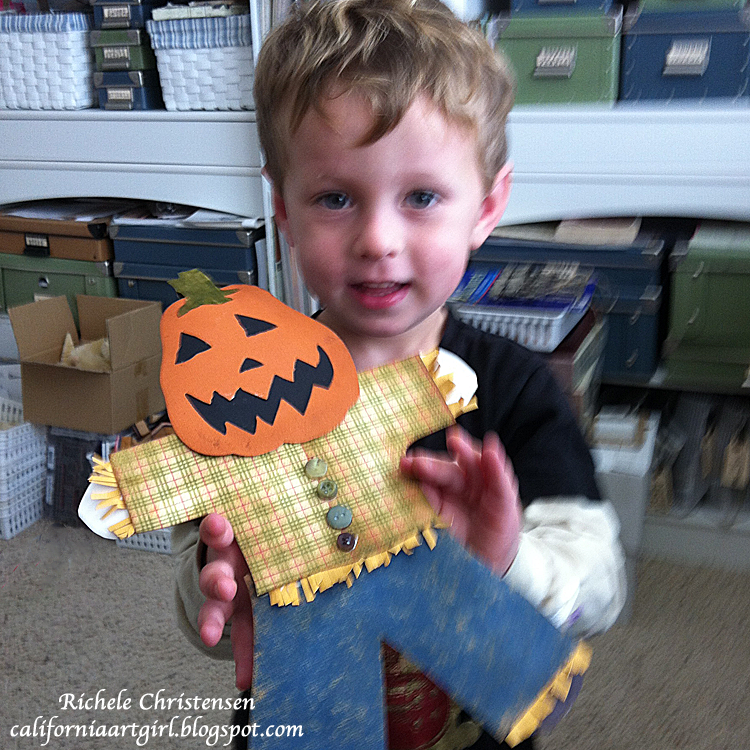 He sits in the "CREATIVE" chair and he directs me that he wants black behind the pumpkin face not gold. He does a little cutting and asks me to do the rest. Ty does a little coloring. 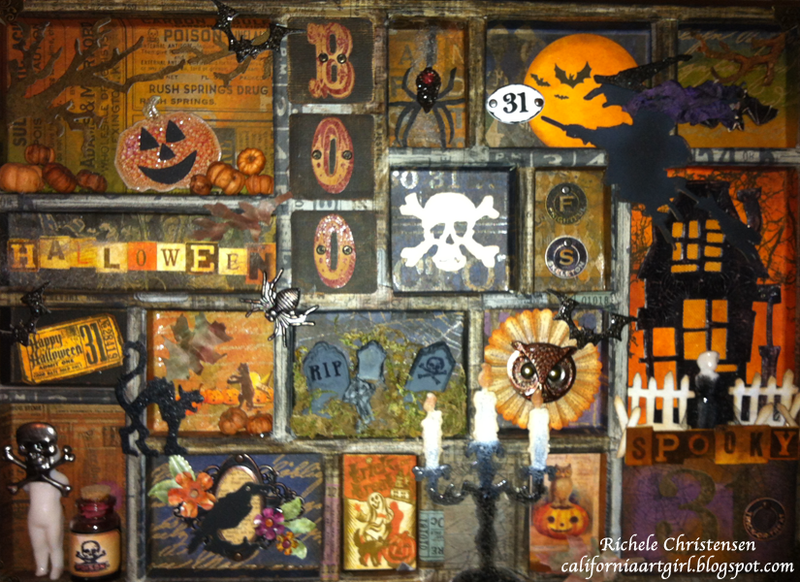 He glues it all together and here it is! 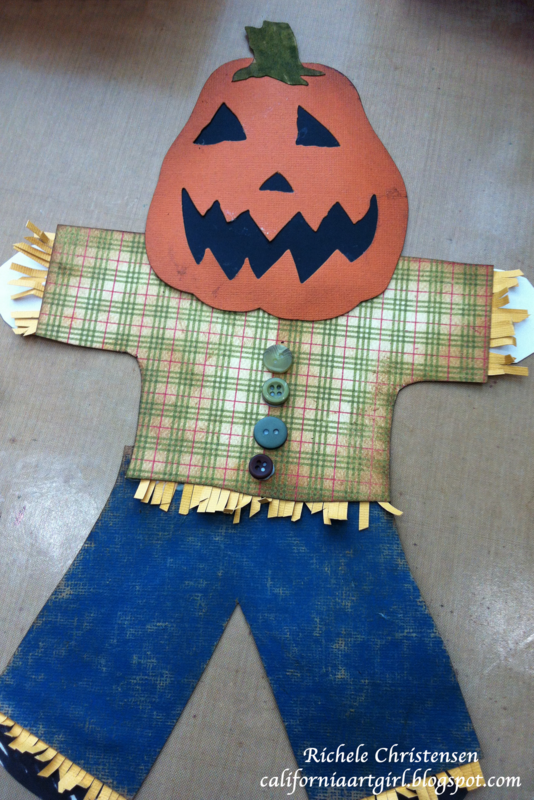 I'm not sure the teacher will believe he made this! He glued, colored and sanded. It does say in the letter that he could have help, right! The hard part was getting him to hold still for the picture as you can see he wasn't. Good enough though you can see in his face how happy he is. Next he was off to show his mom! Best day ever for grandma! I loved sharing the excitement with Ty! Hey Bloggers! 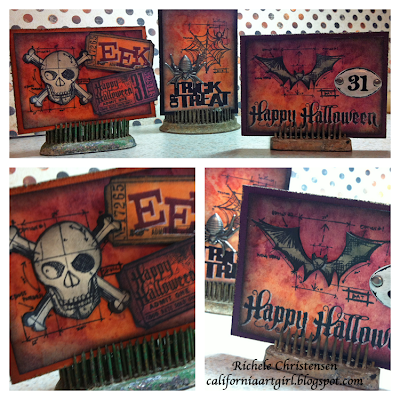 I'm back with more halloween fun. 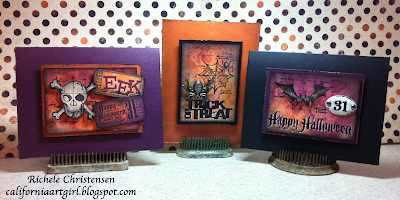 I have some quick Halloween ATC's to share with you today. To color the background use the wrinkle free distress technique by Tim. This is one of my all time favorite techniques. Apply ink directly to your kraft sheet, spritz with water until ringlets form then drag your ATC's through the ink. 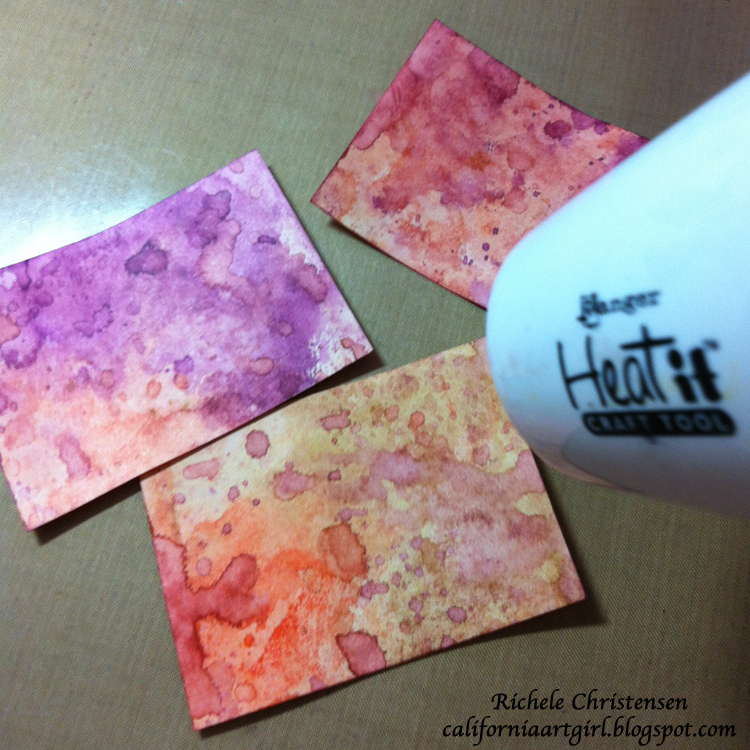 Dry with a Heat Tool. 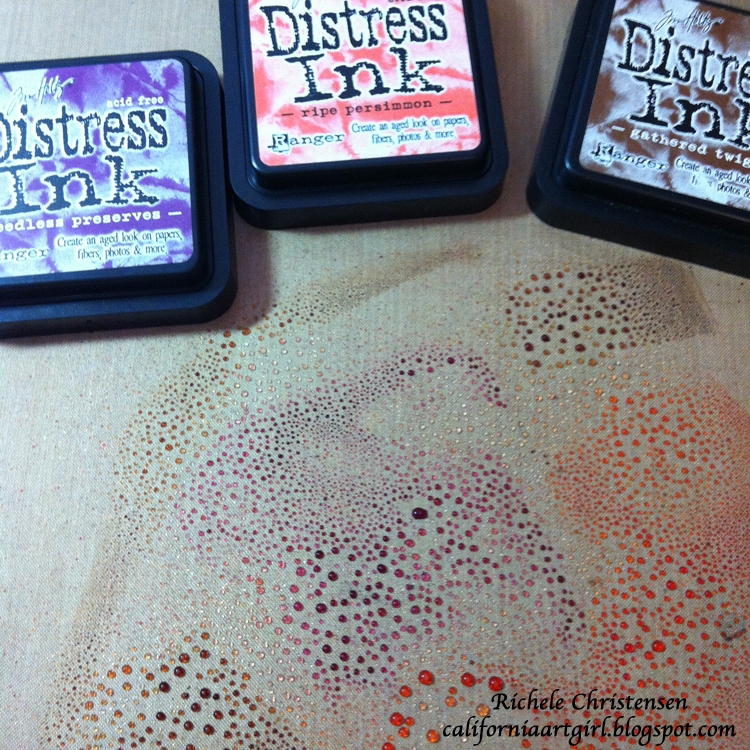 Repeat the step from above and layer ink until you achieve the desired look. 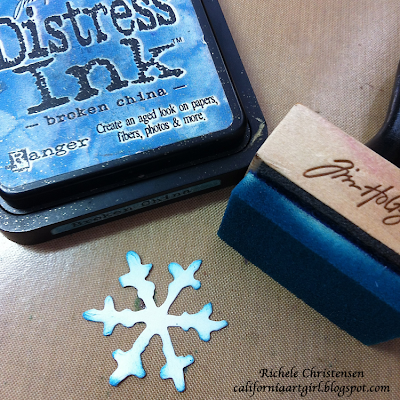 Stamp the images with Jet Black Archival ink from the mini blueprint set. 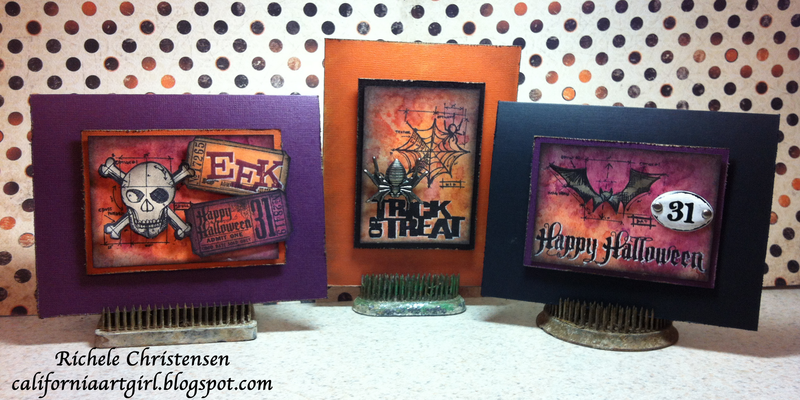 I love these new blueprint images from Tim, this mini set includes Fall, Halloween and Christmas. Ink the edges of the cards with Black Soot Distress Ink on an ink Blending Tool. Highlight the lettering with a white pen this really makes the words pop! 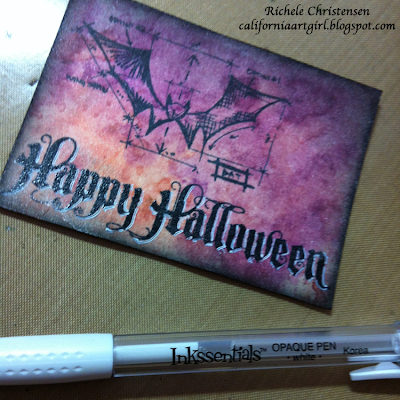 I also stamped the image on a scrap of manilla card stock and layered it with pop dots to my ATC. 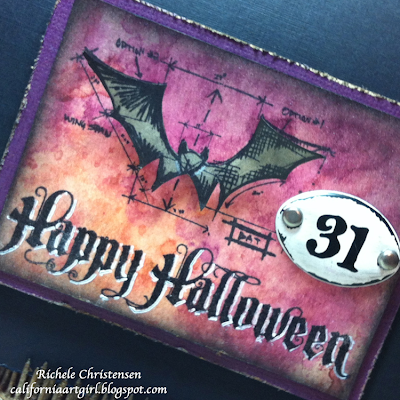 Add some Idea-ology, for this card I added the 31 Plaquette. To make a quick card mount the ATC's to a card. 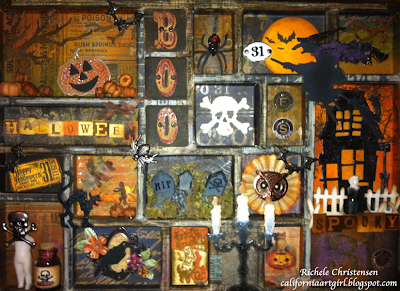 Check out these products at Inspiration Emporium!